External Affairs Minister Sushma Swaraj asserted that the government won’t spare any effort to secure the former’s release. 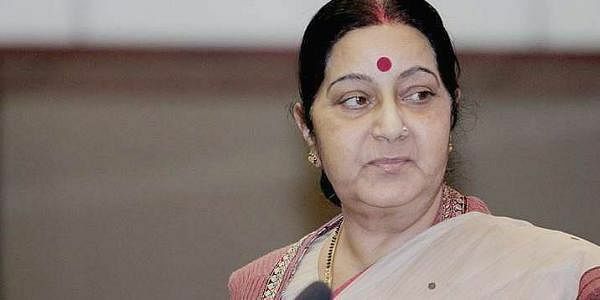 NEW DELHI: Responding to a plea by Father Thomas Uzhunnalil, a Catholic priest under Islamic State’s captivity in Yemen, External Affairs Minister Sushma Swaraj on Tuesday asserted that the government won’t spare any effort to secure the former’s release. “I have seen the video from Fr Tom. He is an Indian citizen and the life of every Indian is most precious for us. We got Fr Alex Prem Kumar and Judith D'Souza released from Afghanistan. We have spared no effort and we will spare no effort to secure Fr Tom's release from captivity,” Sushma tweeted. Father Tom, who hails from Kerala and works in a Church at Aden, in a video posted through web, appealed to the Government of India to release from his captors. "President and Prime Minister, I am sad nothing done seriously in my regard. If I was a European priest then I might have been taken more seriously by authorities and people would have got me released," he said. "I am from India and therefore I am perhaps not considered of much value, I'm sad. Dear Pope Francis, please take care of my life. I request my fellow human beings of different Governments to come forward and help me," he added. The video was uploaded yesterday on Youtube and Facebook. However, the video's veracity was not verified. Father Tom was abducted by the terror group when it attacked an old-age home run by Mother Teresa's Missionaries of Charity in Aden in March. In Yemen, the fighting is going on with no central authority there.